Many years before what we call "World Music" appeared on the scene, certain individuals had already understood the enormous value and vast variety of the world's various musical traditions and had dedicated their lives to their study. One such person is Ross Daly. Ross Daly does not really fit into any particular ethnic stereotype given that his life has been spend in many different parts of the world and his home for the last 35 years is the island of Crete in Greece. Ross Daly, at a very early age, discovered that music was, in his own words, "the language of my dialogue with that which I perceive to be sacred". 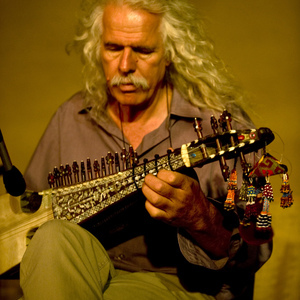 This dialogue eventually led him to the great modal traditions of the Middle East, Central Asia, and the Indian Subcontinent where he finally found the musical archetypes that he had been searching for all his life. In these traditions he encountered music which was not merely a vehicle of self-expression, but which was able to take one beyond what one normally perceived to be the boundaries of one's self into other trans-personal realms of experience. This discovery changed everything in Ross Daly's life and he subsequently gave up all other activities and dedicated his life to the study of the innermost secrets of these musical traditions as well as to the art of composition. He subsequently travelled extensively, studying under many of the world's greatest masters of modal traditions. Since 1975 he has been based on the island of Crete where he is universally recognized as one of the foremost experts on the island's rich musical tradition. He is also especially well known and respected for his ability to bring artists of different and seemingly unrelated traditions together in collaborations of unique quality and depth. In 1982 he established the Labyrinth Musical Workshop which is today situated in the village of Houdetsi 20 kms south of the capital city of Herakleion. The Musical Workshop Labyrinth (www.labyrinthmusic.gr) is a unique educational institution dedicated to the study of the world's modal musical traditions and every year Ross Daly and his colleagues organize an impressive number of seminars and master-classes which are taught by many of the world's greatest master-musicians. Each year hundreds of students from all over the world arrive in Houdetsi in order to study with some of the most renowned teachers of modal music from all over the world. Ross Daly's impressive collection of more than 250 instruments which he has collected over the years during his travels is also permanently on exhibition in the building of Labyrinth. After many years of intensive training in a variety of musical traditions, Ross Daly turned his attention largely to composition drawing heavily on all of the knowledge which he acquired during his long apprenticeships. Today he has released more than thirty five albums of his own compositions as well as of his own arrangements of traditional melodies that he collected during his travels. The island of Crete in Greece still provides a base for his personal and musical research as he continues travelling around the world performing his music. 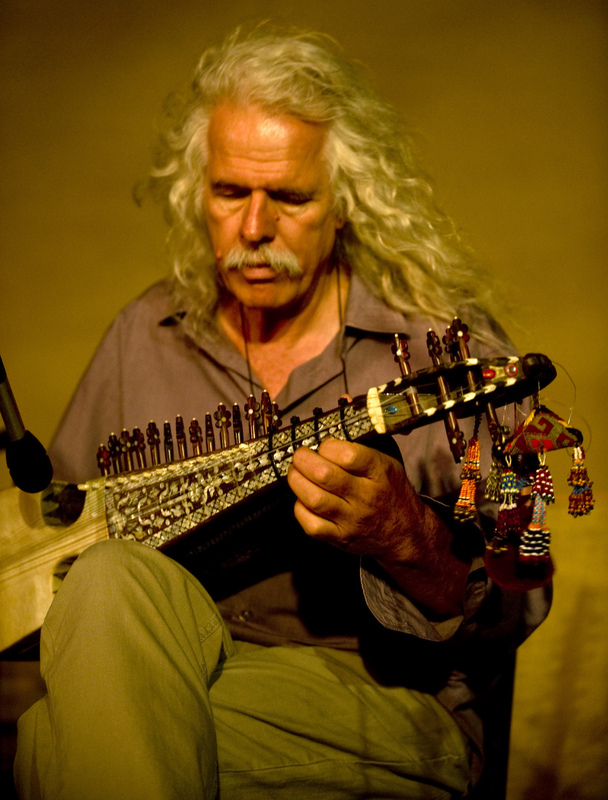 Ross Daly has performed in many important venues and festivals such as: Migration Festival, Taipei, Taiwan (2006), International Lute Festival, Tetouan, Morocco (2006), Madrid Summer Festival, Sabatini Gardens, Spain (2006), International Festival, Warsaw, Poland (2006), Manresa Festival , Barcelona,Spain (2006), Athens Concert Hall (1993, 2006), National Concert Hall, Dublin, Ireland(2005), Konzerthaus Mozart Saal, Vienna, Austria (2005), Thessaloniki Concert Hall (2002), San Francisco World Music Festival, U.S.A (2005), State Theatre Company, Adelaide, Australia,(2005), Theatre de la Ville, Paris, France (1992-93, 2002,2003,2005, 2008), Festival de Saint Chartier, France(2003), Municipal concert hall, Kayseri, Turkey (2006) Skala Aglantza Nicosia, Cyprus (2005), Urkult Festival, Sweden(2003), Passionskirche, Berlin (1994,95,96), Rudolstadt Festival, Germany (2002), Aarhus, Denmark(1997), Huset theatre, Ahlborg, Denmark (1995-97), Copanhagen, Denmark (1995-97, 2003), Les Nuits Atypiques Festival, Langon, France (1995), Nikos Kazantzakis Theater, Herakleion, Crete 1996, 1999, 2001, 2008), Sodern Theatre Stockholm, Sweden (2004), Archaeological Museum, Madrid, Spain (1998-99, 2001), Festival of Murcia, Spain (1999), Isle of Wight Festival (2000), Oslo Cathedral (2004), Cemal Resit Rey Conser Salonu, Istanbul, Τurkey (1997, 2005, 2006), World Music Festival, Skopje, FYROM (1999, 2003), Lycabbetus theatre, Athens (1987,91,93,98), Queen Elizabeth Hall, London, U.K (1998-2000-2), Purcell Room, London (2007), Clarinet Festival, Bretagne (2008), Jerusalem Oud Festival (2008), WDR, Munich, Germany (1999), WDR Wuppertal, Germany(1992), Protestant Church, Brussels, Belgium (2001), Luxemburg Concert Hall (1992, 1994), San Sebastien Festival, Spain (2008), Nuremberg, Germany (1992, 2006), Cairo Opera House (2006), Emirates Palace Theater (2006, 2007), Frankfurt, Germany (1992), Epidaurus Theatre, Greece, Herodion Theatre Athens, Greece (1992, 1998), Bourges, France (2008) Al Dhafra Concert Hall, Abu Dhabi (2008), Rainforest World Music Festival, Sarawak, Malaysia (2008), and many others. In Summer 2004 he was the artistic director of the cultural program of the Olympic Games for the Olympic city of Heraklion on the island of Crete, titled "Crete, Music Crossroads". He organized and artistically supervised 15 concerts with the participation of 300 musicians from all over the world. Amongst others there were musicians of international fame as : Jordi Savall, Eduardo Niebla, Huun Huur Tu, Habil Aliev, Dhoad Gypsies of Rajasthan, Mohammad Rahim Khushnawaz, Trio Chemirani, Adel Selameh and many others. Born in Piraeus in 1978. 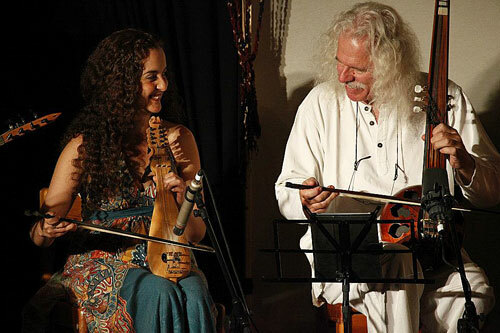 Since 1995, she has been studying the lyra with Ross Daly and very shortly thereafter has been travelling with him and his group, "Labyrinth" participating in concerts in Europe, Asia and Australia. 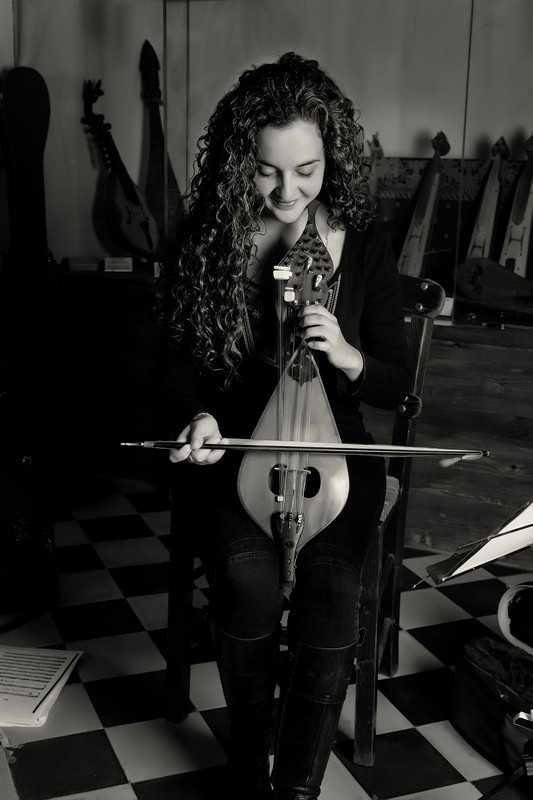 She has taken part in many projects with musicians from various different traditions from other countries, a fact which has resulted in her development of a unique and very personal style of playing. Being a member of Labyrinth, she's had the chance to meet and play with many important musicians such as the Trio Chemirani, Dhruba Ghosh, Ballake Sissoko, Nayan Ghosh, Mehmet Erenler, Khaled Arman, Zohar Fresco,Hossein Arman, Goksel Baktagir, Yurdal Tokcan,Efren Lopez, Shubhankar Banerjee, Rufus Cappadocia, Pedram Khavar Zamini, Huun Huur Tu. She is a member of "Ross Daly Quartet", "Labyrinth Modal Ensemble", "White Dragon", "SEYIR", "Circle in the Crossroads", "IRIS", "Tokso International String Quartet" in Norway, "7 Lois Orchestra" in Portugal and many more. Kelly Thoma has graduated from the English Literature department of the Athens University as well as from the "Rallou Manou" Dance School. She has performed with Ross Daly in many important venues and festivals such as: Theatre de la Ville (Paris ,2003, 2005, 2008), Queen Elizabeth Hall (London ,2000,2002), Melbourne Festival (Australia2001,2003) , Megaron Mousikis (Thessaloniki and Athens 2001 and 2005), Herodeon Theatre, CRR in Istanbul, Jerusalem Festival, and many others. Her debut album with her own compositions will be released in 2009. Music doesn’t understand national borders. It can’t be so easily constrained. Music grows, it travels, and it resonates. Traditions, sounds, styles all interconnect. The modal music that Ross Daly explores almost seems to exist outside time, weaving strands from so many parts of the world and combining past, present, and future together in gliding, mesmerizing melodies. He’ll be bringing that beautiful musical magic to New England on his tour in April. 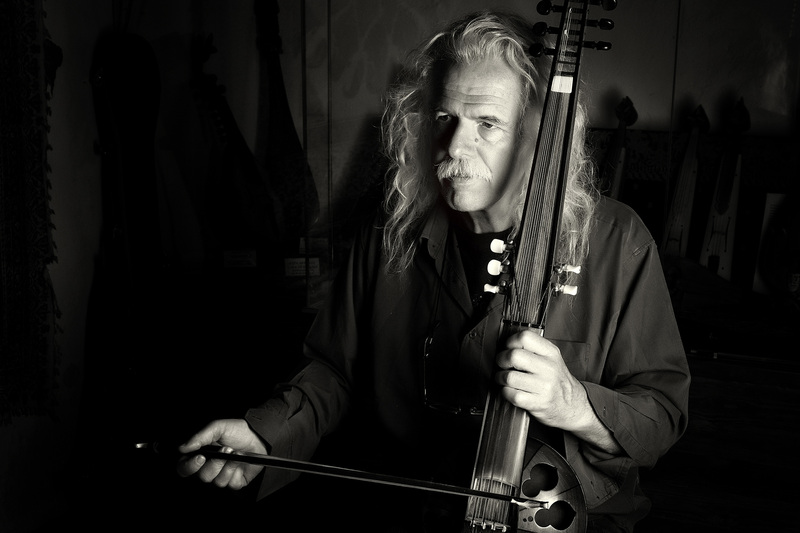 Daly is a master of the Mediterranean lyra, a bowed fiddle that also has more than a dozen sympathetic strings. He’s spent his life exploring the possibilities and connections in modal music, recording and performing all over the globe as well as hosting the annual Labyrinth musical workshop in his home village of Houdetsi on the island of Crete. He’s lived there since 1975, drawn to the place as part of a musical odyssey that began when he was just thirteen years old. In 1982 he began Labyrinth, which started as a very loose collective, a study group delving into the modal music of different traditions. Lyra virtuoso Kelly Thoma was a musician who attended the Labyrinth workshops. Now Daly’s wife, she’ll accompany him on the four-date tour through Massachusetts, Maine, and Vermont, as will bassist/percussionist Michael Harrist and tanburi Tev Stevig. For the April 7 concert in Boston the quartet will be accompanied by Orkesta Marhaba. It’s hardly his first time in the U.S.; Daly’s a regular visitor, playing dates here almost every year. His most recent appearance was at New York’s Carnegie Hall in 2015. He’s amassed a large catalogue of music over time, a remarkable total of 38 albums, with 2014’s The Other Side his most recent release. Along the way he’s also developed a generous ethos about his work. The music he writes pulls from different corners of the world. Threads of North Africa mingle with the bright, varied colors of India. Swooping melodies from the Balkans are tempered by Asian delicacy, and the whole has a transcendent quality. Daly’s contemporary modal music comes from no time and all time, from everywhere and nowhere. But perhaps that’s apt for a man who’s never considered himself a national of any country.